Selling a business can be a profitable venture if done correctly. It may also give you the flexibility and freedom you need to explore other avenues, or simply retire. At the same time, it can be incredibly difficult to sell a business, particularly right now. For example, consider mid-market businesses, which are those organizations somewhere between a local small business and a large-scale international corporation. According to a Firmex report entitled “Mid-Market M&A Report: The Valuation Gap,” there’s a current downturn in the number of completed deals, and January 2016 was the worst in 25 years for mid-market deals. The only solution is for business owners to be proactive when it comes to how they approach the sale of their business, but to do so in a way that’s still discrete and doesn’t give away too much information. One of the best ways to do that is through the creation of a website. Below are some tips that any business owner can follow to do just that, whether they’re trying to sell a small e-commerce business or a much larger company. Many business owners have a website that represents their company to clients and the general public but don’t realize the same concepts could apply to selling their business. Consider a simple WordPress site that will show prospective buyers what your business is all about from an internal perspective, but don’t give so much information that you’re jeopardizing confidentiality and discretion. Remember, keywords are just as important here as they are on your main website, so do your research and get the language right to attract potential buyers in your market. Photos are essential if you want to not only attract potential buyers but also convince them your business is worth their time. Don’t just get pictures of the inside of your business, but also consider a gallery of your inventory or equipment, and also take outside photos that show would-be buyers your location, the general traffic and the overall appearance of your building. Of course, you may not want to give away too many photos that could show your exact location, but if you can take concise photos that at least show the condition of the exterior of your business, that’s ideal. So many of the concepts you follow with your regular business blog also apply to your website when selling a business, including the importance of content. You want to keep any identifying information to a minimum, particularly if you don’t want the surrounding community to know your business is for sale, but you can describe things such as what type of area you’re located in, and create content that also gives a general overview of what your business is all about. 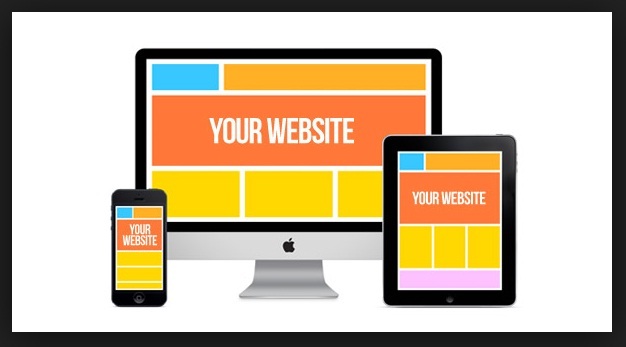 Finally, important elements of your business can change from day-to-day, and it’s essential these are reflected on your website. You may also find that buyers watch your website advertising your business and look for possible change, so make sure to ensure these are always reflected.